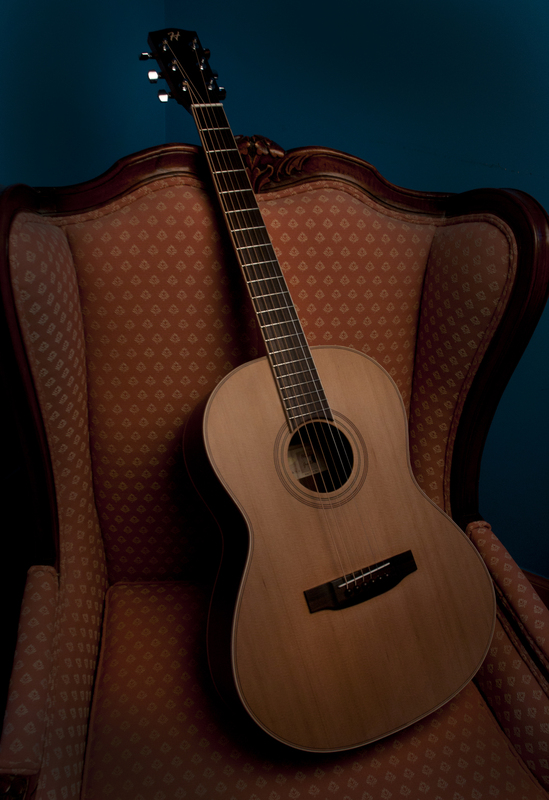 The Burns is capable of handling the rigors of everyday use, while consistently delivering brilliant rich tones. 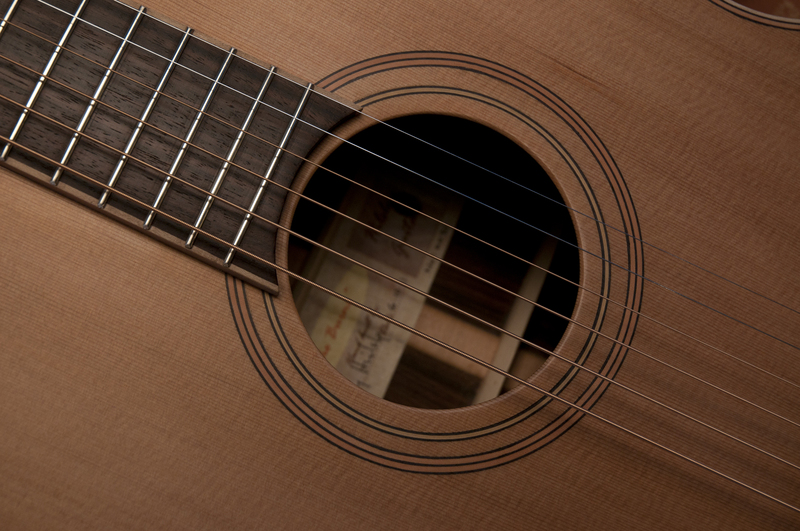 It has a traditional scalloped bracing pattern which allows the Cedar top to vibrate with less restraint, pushing the sound more effectively towards the soundhole. 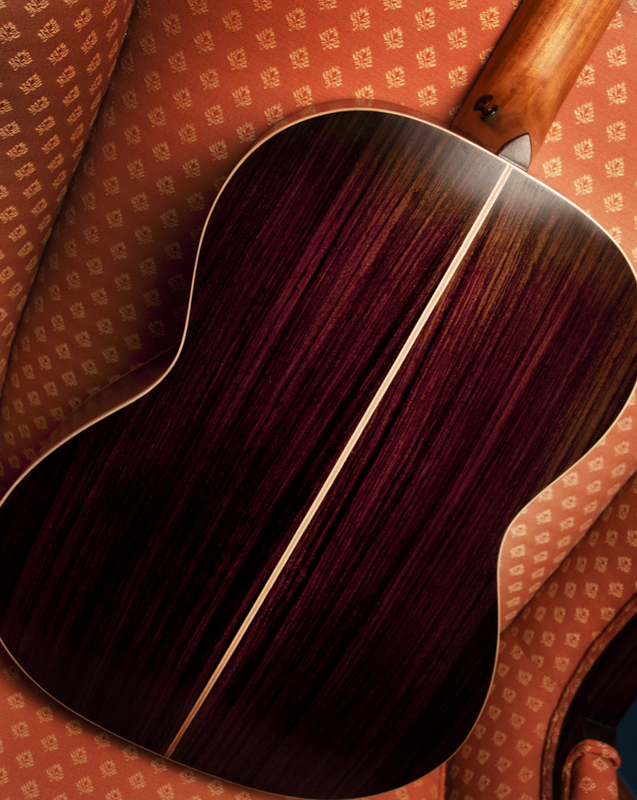 It comes standard with solid Indian rosewood back and sides. 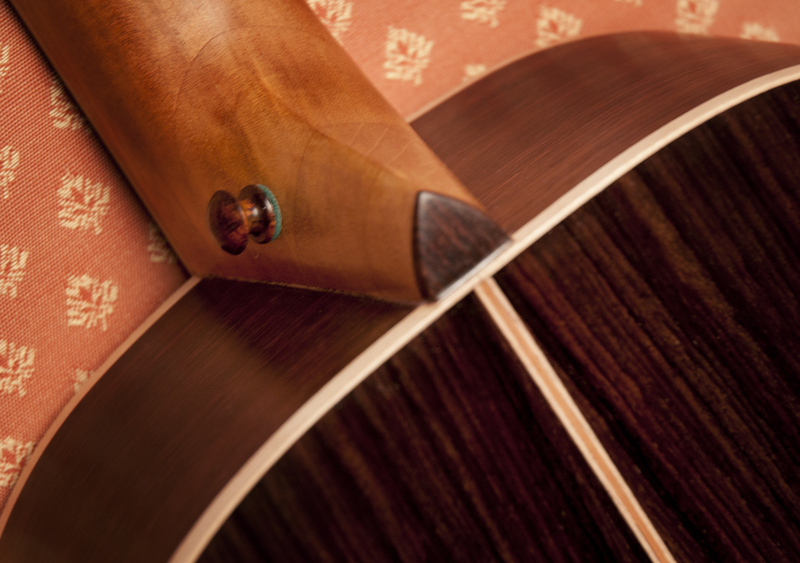 Cedar top with maple/sycamore bindings, Ebony and Pear purflings and rosette. 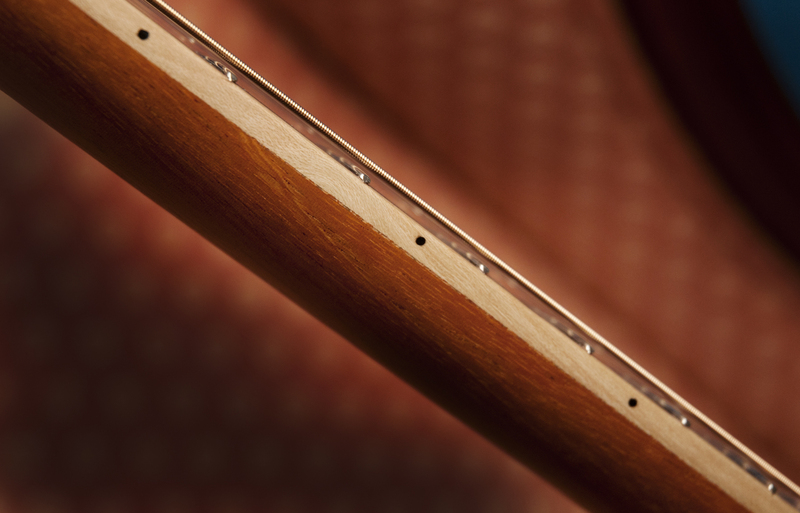 Mahogany one piece dovetail neck, scale length 25 3/8” Indian rosewood fingerboard, bridge , heelcap and headstock veneer (maple inlay). 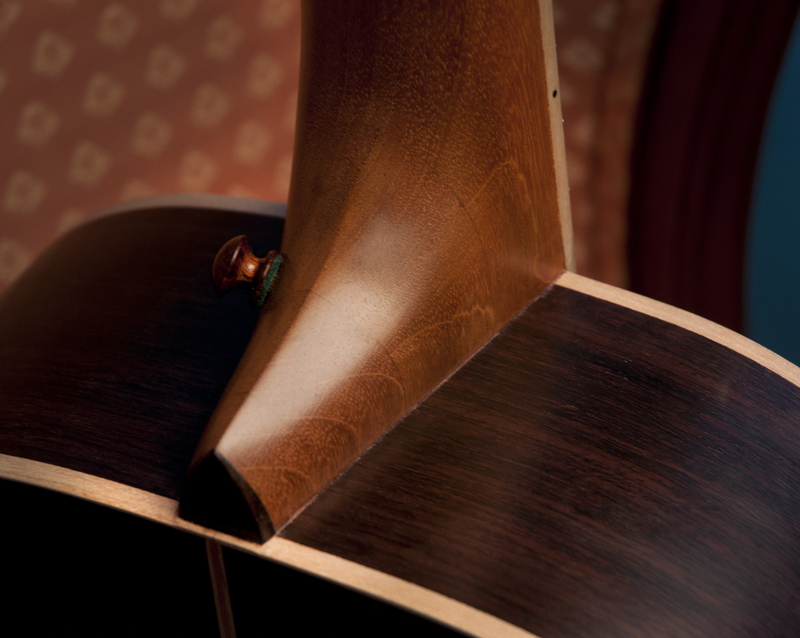 Bracing sitka spruce, kerfing in mahogany. Bone nut and saddle. Chrome enclosed Gotoh tuners. 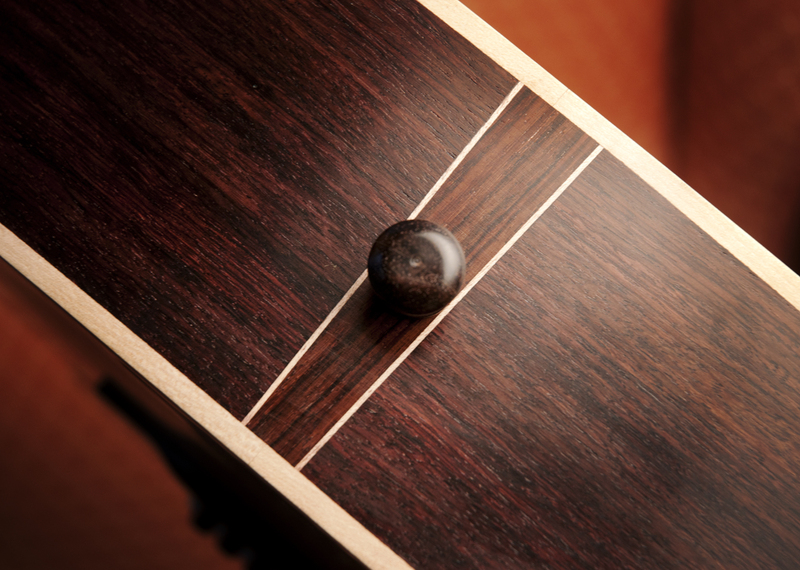 Hand finished with either wax or a water based lacquer. 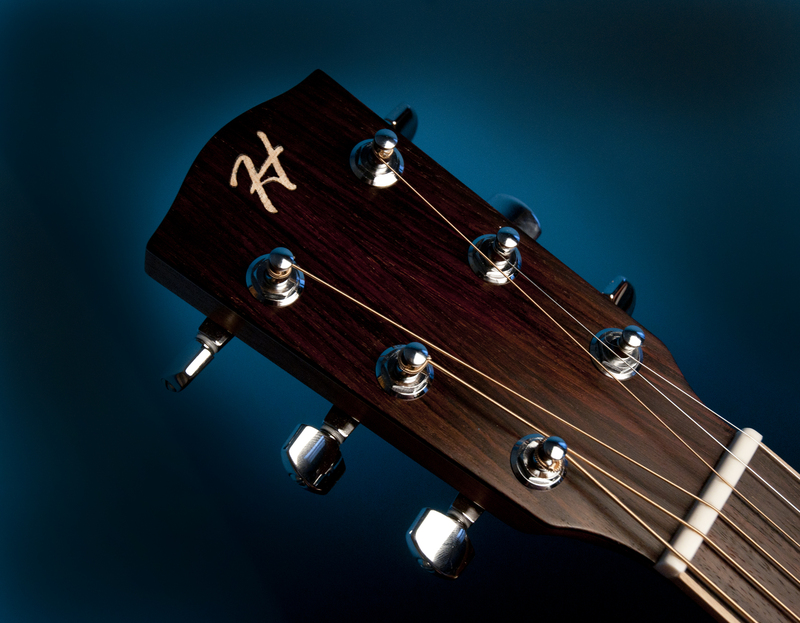 This style delivers a lush resonance and full bodied tone.